Trees are being felled in Kaggadasapura for various reasons. Some local residents decided to replenish a part of the area’s vanishing green cover. A citizen reminds us of our basic civic responsibilities. A technologist, open source evangelist and known for his FOSS.in initiative, Atul Chitnis is remembered by many in the tech field. Here’s a reflection by some Bangaloreans who knew Atul personally. At a time when the poor cannot afford to dream of quality education, here’s a model school that’s silently changing the lives of many poor children in Srirampur in Bangalore. It has proved that children can change a family. A series of unconnected incidents helped establish some of the key areas in the centre of Bangalore – north and south of today’s MG Road. 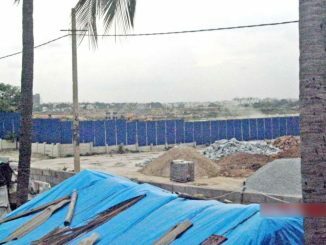 At a time when unregulated real estate development all over Bangalore has put massive stress on roads, water and other resources, a working group on IT has proposed a skyscraper core with a funding model. The legendary market was demolished and rehabitants were allotted shops on lottery basis. Now Bangalore Mahanagara Palike (BBMP) is permitting illegal constructions and allotment of shops within the heritage structure. With the onset of monsoon season, low-lying areas like Kengeri in Bangalore have seen snakes entering houses. One more example of man-animal conflict, why does this happen? How to avoid it? Housing cooperatives: Are they serving the purpose? Many housing cooperatives have hit the headlines for all wrong reasons: violation of rules, mismanagement, non-allotment of sites and more. The question is, have they forgotten the original purpose behind their formation?